Barcelona have turned to the market to find a centre-back for six months to cover the possible absence of Samuel Umtiti. There is still no official confirmation and they will not take a definitive decision until next week, but the club have little hope that the Frenchman can avoid surgery. And even though there have been signs of recovery from a knee injury without undergoing the knife, the club feel it's a risk not to look for a Plan B in case Umtiti gets injured again in the final phase of the season. The objective is to sign on loan. 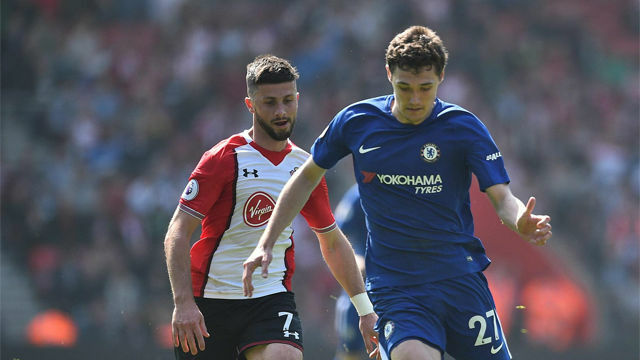 Therefore, Barça have made a formal offer for Danish centre-back Andreas Christensen, of Chelsea, although an agreement is a long way off. Barça have spent weeks combing the market in search for someone who can help for six months. The profile they're looking for is a young player who can come in for free with a possible option to buy in the summer. And Christensen was always No.1 on the list. The club spoke to his people first (his dad's his agent) and they were excited by the option. Last season he was a regular at Chelsea but the arrival of Maurizio Sarri has seen him lose his place. It's true he's called up for most games but he's not playing. The Dane's keen to make the switch, but Chelsea don't want to negotiate a six month loan. Chelsea have told Barça no regarding a loan but have opened the door to a possible transfer, something the Catalan club aren't keen on because they will not invest in January. Therefore, Christensen himself will have to try and unblock the situation in the coming days. Barça don't have time to wait. They need an immediate decision in the case that Umtiti's knee problems force him into surgery. Barça, for now, want the deal turned down as they weigh up whether to go through with it over the next week. Umtiti will be evaluated next week. The club's medical team is skeptical the latest treatment will work and want the problem solved as soon possible. The club will speak with Umtiti to decide what to do. It will be then when the club will decide if they go into the transfer market or not. Everything suggests they will.